But for those of you who carry cash and before you fork it over to the IRS, let me tell you what is going on, on your greenback (and front). The Federal Reserve Seal and the Federal Reserve District Number: Here, the bill says which Federal Reserve bank the bill was printed in. For Example, “B” on the elft and “2” on the right means New York. The United States Treasury Seal: The green stamp on the front is the U.S. Treasury Seal. The scales symbolize justice, the key means an office of authority, and the 13 stars are for the original 13 colonies. Serial Numbers: Appearing twice on the face of the bill, the serial number’s first letter will match the district number. The series of numbers following that are not unique to each bill; in fact, they will appear on a total of 832 bills. That’s because there are 32 bills printed from each plate, and each plate is printed 26 times, once for each letter of the alphabet. Which print it was is noted as the last letter of the serial number, e.g. if the last letter is “C,” that was the third print. Series Date: This one’s easy-it tells you the year it was printed. Plate Series Number: This tells you which engraving plate was used to print the front of the bill. Note Number Position: This tells you where on the engraving plate the bill was printed from. For example, “A1” would be in the top left and “H4” would be the bottom right of each plate. The Great Seal of the United States (back): The reverse of the Great Seal is a pyramid underneath the Eye of Providence, which is the symbol for permanence, strength and God watching over mankind. The year of our founding, 1776, is written in Roman numerals at the base of the pyramid. The Latin motto above the pyramid, “Annuit Coeptis,” translates to “He (God) has favored our undertakings.” Novous Ordo Seclorum,” which is written out below the pyramid, means “A new order of the ages,” referring to the founding of America. 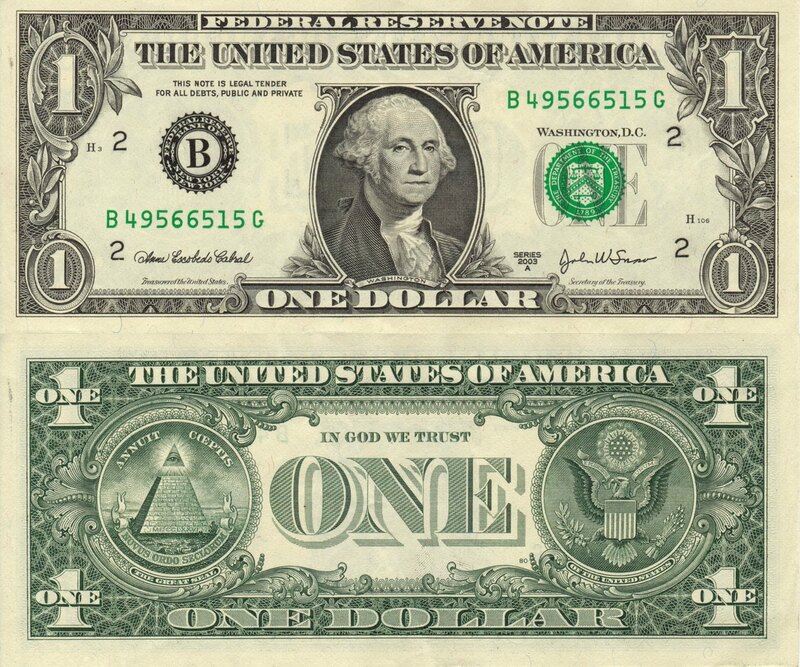 I was amazed to learn all this about the dollar bill and felt that if I had any of those greenbacks in my wallet it would just explode from the weight….. At Bourke Accounting we love to learn new things and always try and pass them on to our clients, especially pertaining to tax and accounting. Call us at 502-451-8773 or stop by for a visit. We look forward to seeing you!